While we've discussed some of the economic implications of the Fed's current policy, let's now take a quick look at the impact of QE on the overall mortgage bond market. 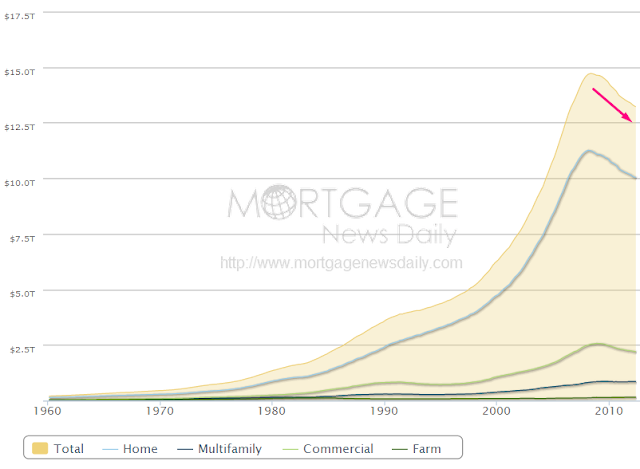 Here is a simple fact: the amount of mortgage-related securities in the US has been declining since 2008 - after reaching just over $9 trillion at the peak. The reason is simple. With a large portion of all mortgages funded via the bond markets, the ongoing decline in total mortgages outstanding results in smaller MBS balances. 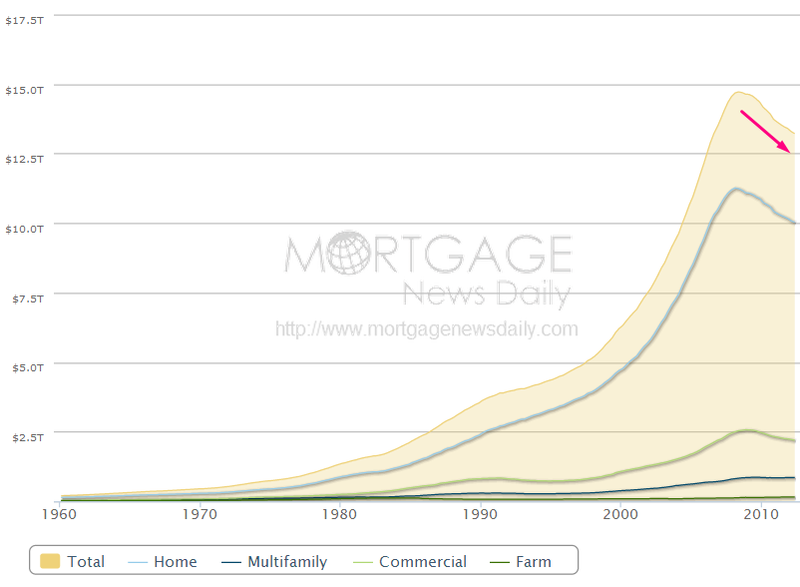 Of course as the population grows and more homes are built (albeit very slowly) this trend should reverse. And now with these market dynamics as the backdrop, put the Fed into the mix. At it's current pace the Fed is taking about half a trillion of MBS securities out of the market. In fact the Fed is now removing more than 100% of the paper that is being issued. The supply of agency (Fannie and Freddie) MBS securities in the market is declining sharply as the Fed reduces the total "tradable float". According to Credit Suisse, without the Fed's anticipated taper in Q1, the demand for agency paper could outstrip the supply by $340bn in 2014, creating a liquidity problem. CS: - Liquidity in the MBS market could come under pressure in the coming months due to Fed’s settled purchases exceeding 100% of gross issuance of non-specified conventional 30-year pools. Tradable float in conventional 30-year MBS should decline between 6% and 30% during the year, increasing the risk of a potential liquidity disruption in the market under longer taper delay scenarios. As a result some of the private participants, particularly banks, have been reducing their agency MBS holdings. The chart below shows the year-over-year changes in MBS holdings by commercial banks. Here is what the conventional 30-year agency MBS float will look like under the taper vs. no-taper scenarios (chart below). Without the taper, the float in these bonds will decline by 30% from the October levels. These are dangerously low levels for what used to be one of the largest bond markets in the world. Taper therefore becomes essential in order for liquidity to stabilize and for more private market participants to begin returning to this market.